Time is of the essence when it comes to customer satisfaction. 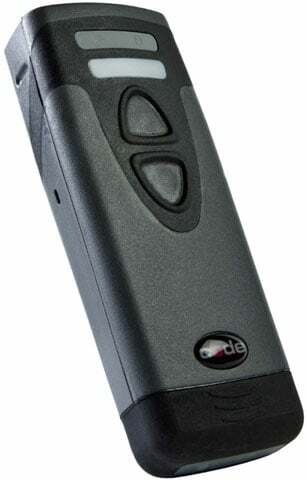 The Code Reader 2300 (CR2300) is a reliable, Bluetooth barcode reader designed for use in retail applications""from inventory tracking and age verification to e-forms and mobile coupons and ticketing. Its ease of use and rapid data transmission allow it to securely handle anything that comes its way. The CR2300 is an ideal match with other Bluetooth-enabled devices powered by iOS, Android and Windows operating systems. The versatile interface between reader and mobile device is seamless, and requires no need for modified or additional software. The CR2300 is also equipped with a robust imaging decode engine that generates omnidirectional barcode reading and high-speed data output. Features like these equate to fewer delays and shorter lines at check-out counters""both of which are key factors in garnering positive customer relations. The Code CR2321-PKCMU is also known as COD-CR2321PKCMU	or CR2321PKCMU	.